What trumps a Dior bottle, a Tiffany rattle and a Ralph Lauren romper? 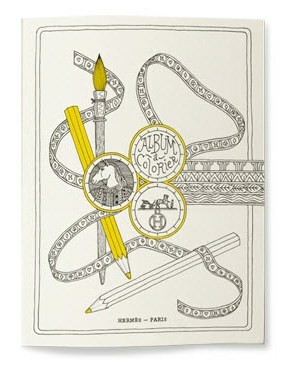 A Hermès US$130 colouring book, of course. When it comes to buying for newborns and children, decisions are (mostly) made with the heart and the head – sure we’ve all had a few impulse buys but predominantly the things we buy for our kids are chosen for their practical features, style and price. Which is why I am fairly sure that very few of our readers will be buying these outrageously priced Hermès colouring book, (I suppose a Hermès ‘bargain’ at US$130) as Christmas stocking stuffers. The book has twelve pages of designer colouring fun. 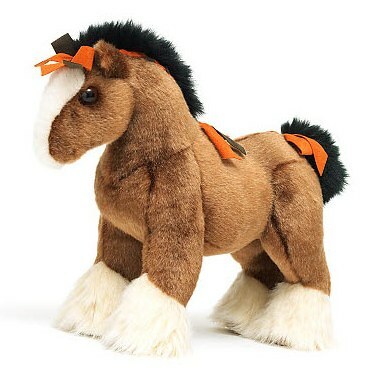 If you are looking for something a little more substantial than a colouring book try the plush Hermès horse for US$390 (yes, it’s a soft toy). Hermès only ships within the US so a freight forwarder is required for Australian deliveries.